Congrats to our friend and loyal member, Chris Anthony, for winning the Best of 2014 award! This award is given out annually to GigMasters members who received 4 or more client reviews (of 4 stars or higher) in 2014. He has been booked 75 times (as of January 2015), and he was a huge hit at our exhibit booth this past fall at BizBash. 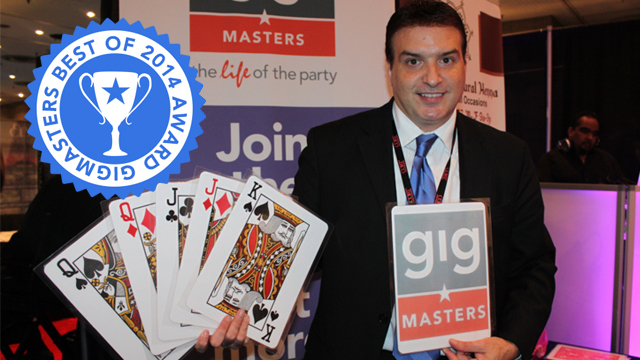 To hire Chris for your next party, visit his GigMasters profile page. Watch how Chris works his magic in this very surprising marriage proposal at Grand Central Station in New York City.